Readers today come to Butler's sermons with some perplexity. Those who begin with an interest in modern ethical theory sense that most of the modern criticisms of Butler's work are ignoratio elenchi, beside the point of Butler's practical purposes. Those who go to Butler for inspiration or moral guidance, as the title "sermons" suggests, find instead what seems to be a sophisticated treatise on moral philosophy. From Butler's own writing we can see that his main sources were scripture, the ancients, and a few modern English writers. Each of the sermons is based on a text. Early in the "Preface," Butler cites the formula Stoicorum, that virtue consists in "following nature." He attributes this commonplace to "the ancient moralists," and editors have supplied references to Zeno and Cicero. Butler uses Cicero's Torquatus (de Finibus) for the Epicurean system in his "Preface", and a little later states that the Epicurean system is "by no means the religious or even moral institution of life," yet it is "less mischievous than the extravagances of mere appetite, will, and pleasure." In discussing Balaam, Butler dismisses the idea of a supernatural restraint by calling it "a mere fiction of Philo." In Sermon 9, Butler calls Cato the Censor "a great man of antiquity." Butler cites Augustine on the love of God. In his public sermon of 1740-41, Butler quotes Livy against licentiousness, "they could neither bear their vices, nor the remedies of them." Butler does not cite Samuel Clarke, but clearly Clarke is one who begins ethics by "inquiring into the abstract relations of things," the so-called a priori method. The second way, that from “matter of fact, namely, what the particular nature of man is.” Was pursued by Shaftesbury. Butler's critique of Shaftesbury is presented in the "Preface," 26-30. In the "Preface," Hobbes and the Duke de la Rochefoucauld are cited as the targets of Sermon 11. There is the famous polemic against Hobbes in Sermon I, for which Butler cites Of Human Nature, ix. 17. Hobbes is attacked by name in Sermon V, this time for his definition of 'pity,' and Butler seems to have had Hobbes in mind when, in the final paragraph of V, he says that "Persons of superior capacity and improvement have often fallen into errors, which no one of mere common understanding could." Also in the "Preface," Butler cites Wollaston's explanation of "following nature" from Religion of Nature Delineated, 1724 ed., p. 22. Wollaston is another example of the a priori method in ethics. Gladstone suggests Nieuwentyt's Religious Philosopher as the source for Paley's and Butler's (Pref.14) use of the analogy with finding a watch. Gladstone cites the Lecture on Paley by Lord Neaves, pp. 24-7 and 32-4 (Blackwood, 1873). In the "Durham Charge," Butler cites Cudworth and Casaubon on grace at meals. 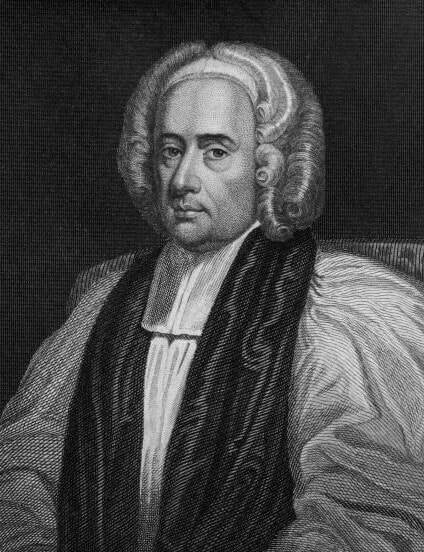 Butler was appointed Preacher at the Rolls Chapel in July of 1719 and continued there for eight years until taking up his duties as rector of Stanhope in 1726, at which time fifteen of his Rolls sermons were published. There seems to be very little record of the preaching of the sermons over those eight years or of the initial reaction to their publication. The only remark of a personal nature in the first edition is the dedication to Sir Joseph Jekyll, Master of the Rolls. The "Preface" added to the second edition (1729) adds just a few points regarding the reception. There were a few other nineteenth-century editions in Scotland and overseas, as well as several editions as part of the Works, but demand for the sermons alone was virtually nil as compared with the Analogy, which saw new editions or at least printings at the rate of about two per year for the entire century. Need for a new edition of the sermons was not felt until 1914, when Matthews produced one for Bell. The Bell edition continued to be issued up through 1969, and was succeeded by the Roberts edition of 1970, for S.P.C.K.. Meanwhile, American students used an edition of Five Sermons edited by Stuart Brown in 1950 until it was replaced by the Darwall edition in 1983.